Here we are, ten weeks into the 2011 MLS season. Hard to believe it but we’re heading into summer here really quickly. May is nearly up and while teams are still cluttered in the standings, there are a couple games this week that could help those at the top break away. Some how this weekend both D.C. United and Vancouver are off the schedule. The Whitecaps make sense given their already busy slate early on this season. Not sure what caused D.C. to have the weekend off but given their current state of injuries, I’m sure this is a welcomed thing. Below are some items that I will be keeping tabs on this weekend. 1. Can Dallas remain hot. These last couple weeks have sure been interesting in the Big D. The club loses their MVP in David Ferreira to a nasty ankle injury and yet somehow since that injury the club is unbeaten and have a couple shutouts to their name in the last two games. Yeah, most of us here in Dallas shake our heads and go, “yeah we don’t know” but for the most part it is due to the growing confidence this club has. Daniel Hernandez has really stepped up in the midfield as the club’s leader, while the trio of Brek Shea, Marvin Chavez and Fabian Castillo have really given the offense some new fire. But a big test awaits on Sunday for the Red Stripes when Real Salt Lake comes into town. RSL has their own issues to deal with now that Javier Morales is out until October. Last week RSL had trouble getting through a Houston defense at home and going on the road to face FCD won’t be easy considering the fact that they’ve never won in Pizza Hut Park. 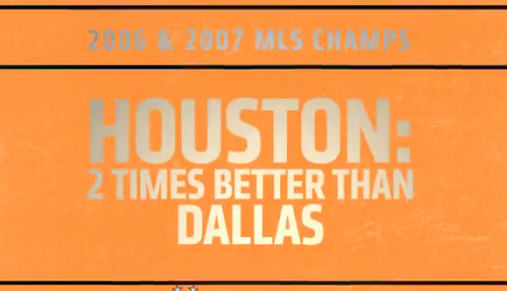 I know Jason Kreis will love to erase that number but it won’t be easy with the way Dallas is playing at the moment. Its possible RSL is still in the CCL Hangover. Hmm. 2. Will Philly rise up? After seeing the Union in person last week it was clear, their offense has a lot of issues. I mean a lot. Peter Nowak tried mixing things up but didn’t find the right combination while Dallas shut them out. But my bigger concern may be going back to the Union defense. They got rattled when Dallas went up on them and even more so when FCD put away a second goal (the first time the Union had given up more than one all year). They have the leaders in the back to overcome things but they have to show it this weekend against Chicago. Being back home should help to considering the Fire are not a good road team and lack the bite in the midfield to hang with a club like Philly for 90 minutes. Thing is the Union cannot let their guard down against this Fire team as we saw in Toronto last week, they can score in bunches too. Marco Pappa can be as dangerous as they come in MLS, when he wants to be. Shutting him down early will be key. But finding the back of the net will likely be priority number one for Nowak. 3. New York do we have a problem? If one club is to go into Robertson Stadium and see a positive result, it would be New York (same goes for New England too). The Red Bulls have had success knocking Houston down in their home venue but given how they played last week against Chivas USA, you have to wonder, will it matter? After a couple weeks of dominent play out of the Red Bulls, Hans Backe’s club turned the clock back a couple years and really looked like the Red Bulls of old. Sloppy in defense, inconsistent, and just down right frustrating to watch. Houston is a good team here that has seen their struggles early on this season but one thing is clear to me, they’ll put up a tough fight against the Red Bulls. New York cannot for a second let someone like Will Bruin to dicate the flow of the game, nor can they let the Dynamo defense be stingy. 4. SuperClasico stuff. Do we really even care about the SuperClasico between Chivas USA and LA anymore? Its a good question but I do see this rivalry being a good one this year now that Chivas is starting to show that they could be a contender in the West. Robin Fraser’s defense will have to step up on a big way though on Saturday after giving up two goals to the Red Bulls in their 3-2 win last week in New York. We know the Goats can play with anyone here right now but seeing how LA dominated KC last week at home, I wonder if Chivas could be in the wrong place at the wrong time to face this LA team. Landon Donovan looks hellbent on scoring goals in bunches here and I don’t know of anyone on Chivas USA that can slow him down right now. If Justin Braun can match him goal for goal then we could be in for a real treat. It should be a physical game either way but hopefully its full of goals. 5. A couple more on the road for KC. Last week was down right ugly in LA for Sporting but going to Seattle shouldn’t be any easier. The Sounders will definitely want to get the nasty taste of tying their rivals Portland last week out of their mouths here with a big win over the worst side in MLS right now. KC has had success at Qwest before but this KC side lacks a lot of power in the back to stay with the likes of Fredy Montero and Alvaro Fernandez, who’s really made a big impact in recent games. Finally the Seattle DPs are playing like ones. 6. More Buck Shaw love. Last week was much needed for San Jose. Not getting a win, much less a big win like they did against Columbus pretty much meant to most people around the league that Frank Yallop’s side would not be contending this season. But a 3-0 win over a decent defense like the Crew’s showed they are very much still in business here even though they have a lot of points to make up now. Another big win against New England this weekend will certainly help. The Revs haven’t looked that great in recent weeks even though they managed to get a win over Vancouver last weekend thanks to a PK in the second half. 7. Home cooking for Portland. I don’t know if I should even write a preview or even give a score prediction for the Portland-Columbus game this weekend at JELD-WEN Field. Given how the Crew played last weekend in San Jose and how the Timbers are at home so far this season. This one just screams easy pick of the week with Portland winning right? Yeah, I think so. 8. Road woes for TFC. Another double-dip week for the Reds. First they had to travel to Vancouver yesterday to play the Whitecaps in the first leg of the NCC Final. Then they have to go to Colorado to face the Rapids. Ouch. Just ouch. At least it looks like they are on their way to another CCL berth after the draw last night. They get Vancouver in their place next and I’d imagine they’ll rest some starters in Colorado in the process. I’m sure that works fine for Gary Smith’s club who have some injury issues to deal with up top still. I doubt it will matter though as the Rapids’ offense still will be too much for the Toronto defense.